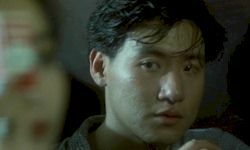  Tony Leung Chiu-Wai appears very briefly at the end of the film in a seemingly unconnected cameo. The purpose of his introduction was actually to lead into a follow-up film, but the sequel was never realized. The commercial failure of the film made a sequel unviable, despite Wong Kar-Wai having shot many, many feet of film with Tony Leung Chiu-Wai. Even now Wong is asked about a supposed sequel to Days of Being Wild, but the possibility of the missing footage ever being shown has grown increasingly remote.  Wong Kar-Wai has made mention that In the Mood for Love was his unofficial follow-up to Days of Being Wild, in which the characters played by Tony Leung Chiu-Wai and Maggie Cheung embark on their near-affair. 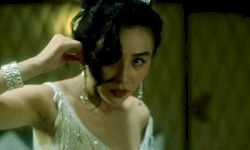 Maggie Chueng's character is named So Lai-Chun in both films. The Skinny: An inaccessible art film to some, but a compelling portrait of human emotion to others. Whatever your preference, Wong Kar-Wai's classic drama is easily one of the key Hong Kong films of the late eighties and early nineties. Though this was Wong Kar-Wai's second film, it could easily be said that this was the one that started it all. Days of Being Wild possesses all the trademarks of Hong Kong's celebrated auteur: heavy doses of post-modern reflection, characters mired in paralyzing existentialism, exquisite cinematography, exacting pacing, sultry atmosphere, and an entirely too obvious "art film" air. For every person who swears this is a Hong Kong Cinema masterpiece, you'll find someone who decrys the film as boring and pretentious. And really, it's hard not to see the merit of either case. The film's story is nothing too special. 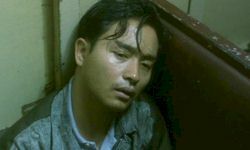 Leslie Cheung stars as York, a well-off layabout in 1960 Hong Kong. York is as charismatic as he is despicably selfish; his typical deal is to draw women around him into his self-centered web, only to betray them emotionally. The first victim we see is a shy girl from Macau named So Lai-Chun (Maggie Chueng), who he charms with the immortal line that for one minute on April 16th, 1960, the two were friends. Sadly, his affections prove fleeting and destructive. Lai-Chun realizes too soon that York only loves himself, and is quick to leave. However, the damage has been done. Despite realizing York's inability to really care for her, she's driven into a romantic tailspin. 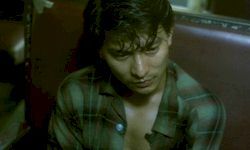 Now unable to sleep and suffering from heartbreak, she finds solace in the platonic company of a beat cop (Andy Lau) who wanders the night streets in an entirely too-calm manner. He ends up developing his own minor attachment to Lai-Chun, but the moment is never realized. Meanwhile, York has moved onto Mimi, a sassy cabaret dancer played with scenery-chewing flair by Carina Lau. Unlike Lai-Chun, Mimi is seemingly willful, but her apparent strength is not what it seems. When York jilts her, her reaction is pathetic, and yet painfully real. Her irrational desire to retain York's affections draws in York's friend (Jacky Cheung), who harbors his own requited affection for Mimi. Despite her obvious disdain, he pines after her in his own pathetic manner. And, since it's a Hong Kong summer, it's incessantly hot, muggy and rainy. It's almost out of a screenwriting textbook. What's the purpose of this extended soap opera? For many, it could be the obvious existentialism of it all. Love grows and fades, people behave in disgustingly real ways, and nobody does anything remotely heroic or inspiring. It points to the maddening circle of human emotions, which leads from heartbreak to self-doubt and possibly even the onset of delusion. It's as depressing as it is real, which is why it's obviously an "art film." This is where some people decide to walk out and vow never to support Wong Kar-Wai ever again. The apparent genesis of York's selfish (and ultimately self-destructive) behavior seems to be the apparent rejection by his real mother, who left him with a Hong Kong prostitute (Rebecca Pan). One could immediately decide that this is the reason behind York's entire modus operandi: a self-indulgent mother-complex. It's like something in a bad TV drama; if people were to decry the narrative as obvious and uninspiring, they probably wouldn't be wrong. But, that would be the most likely reasoning if the film made its narrative the primary concern. In Days of Being Wild, and indeed in every other Wong Kar-Wai film, the narrative is really the last thing on the director's mind. What concerns him are the details: atmosphere, setting, fleeting emotion, and the terrible preciousness of memory. The physical details of the film are exquisite, such as the way Maggie Cheung's hair falls in front of her face, or the precision with which Leslie Cheung combs his hair. Wong shows so much of his characters through his choices, be they with the actors or with the camera. There is an appreciable artistry to the way he and cinematographer Christopher Doyle frame their shots, creating a divide or an intimacy through exact spacing. 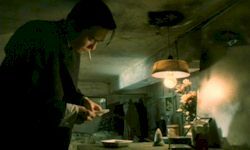 Wong uses his infamous voice-over exposition too, but unlike in Chungking Express or Fallen Angels, the device is used sparingly. He wisely gets his actors and his scenes to do the telling. Wong's obvious use of style and technique creates the immediate impression that this is "art," thus alienating a good portion of the audience. Then again, the skill and emotional weight with which he pulls it off is remarkable. It's not hard to be drawn into the lives of these characters, who are so unmovie-like as to be patently bothersome. Everything the characters go through simply happens, and isn't the result of some cathartic response to onscreen stimuli. His actors are uniformly impressive in that no artifice exists to their craft. It's amazing that a director can take mega popstars and wring such naked performances from them, but that's exactly what he does. It's a process that takes patience and retake after retake. His isn't a job for a person with a short attention span. images courtesy of Mega Star Video Distribution Co., Ltd.